If you are always intimidated by royal cuisine and love to explore the food from the kitchens of Maharajas, then look no further just head to Leela. Leela Hotel always at its Innovatibe best is all geared up to indulge you with recipes and dishes from the kitchens of Maharajas. 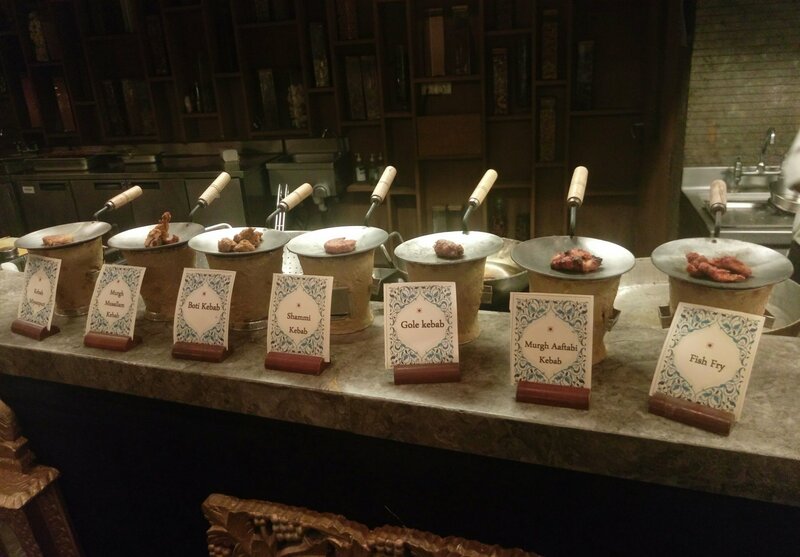 #Dinnig with Maharajas is a series of 4 food festival series that is set to cover cuisines from various kitchens of Raja Shahab and royal families. First one in the series is #Mahmudabadfoodfest, so let’s get to know about Mahmudabad before we move to its food – Mahmudabad is one of the oldest estates in Awadh (Uttar Pradesh). 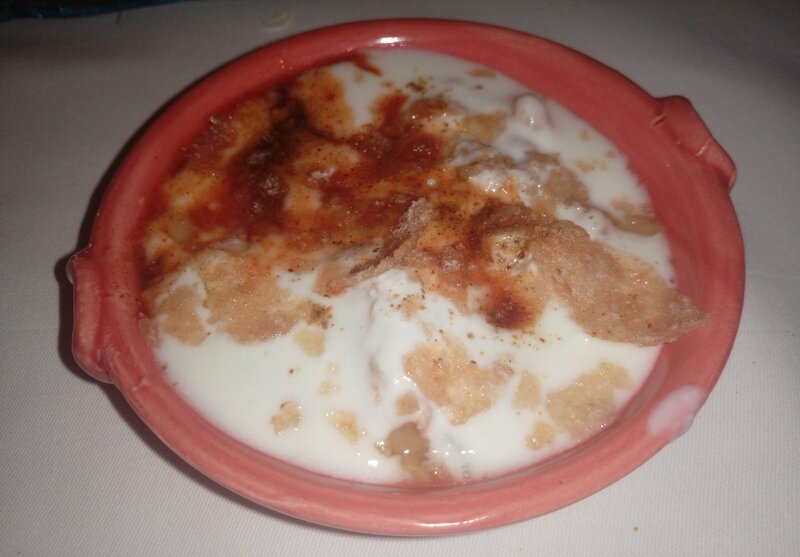 One of the most famous cultural legacies of Mahmudabad is its cuisine. Every cuisines and format has its own rituals and cultural history that makes it what it is. 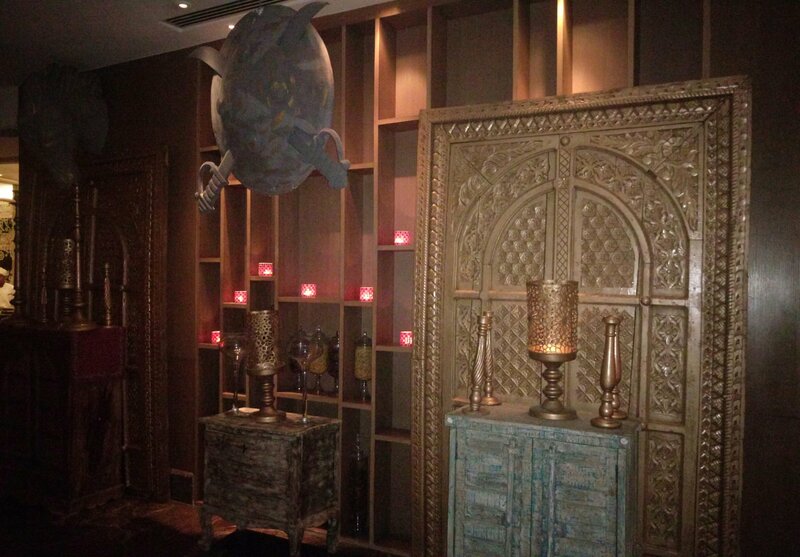 Dastarkhwan, a Persian term, literally means a meticulously laid-out ceremonial dining spread. 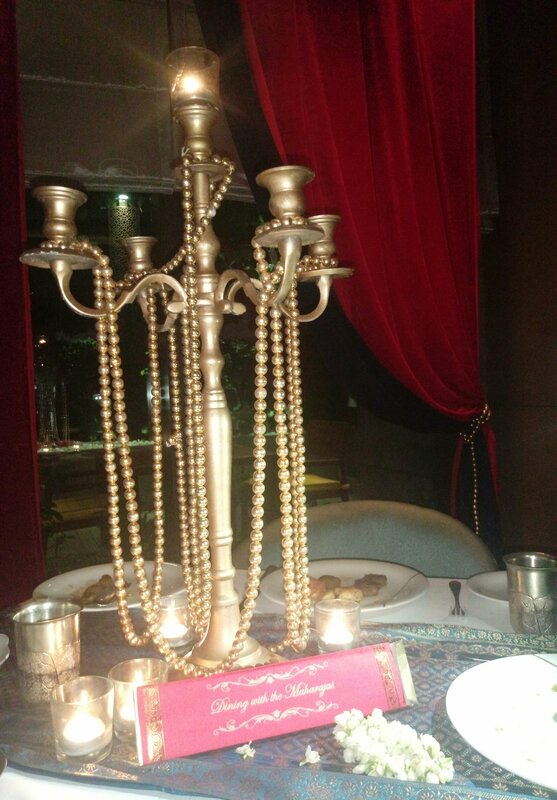 It is customary in Awadh to sit around and share the Dastarkhwan. 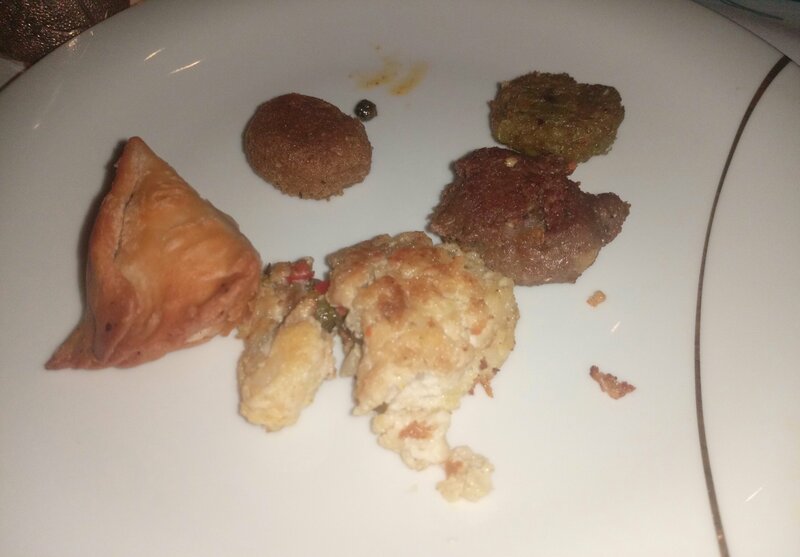 Laden with the finest and the most varied repertoire of the khansamas (chefs), the Dastarkhwan of the raeis (the rich) were called Khasa (special). 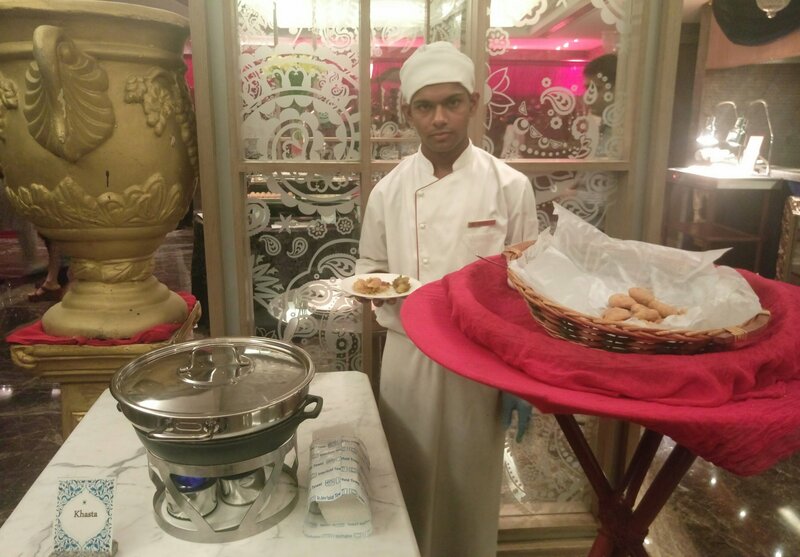 The richness of the cuisine of Awadh (now Lucknow) is the result of the continuous experimentation of Nawabs in their royal kitchens.And that’s what makes the Nawab – The Nawabs. 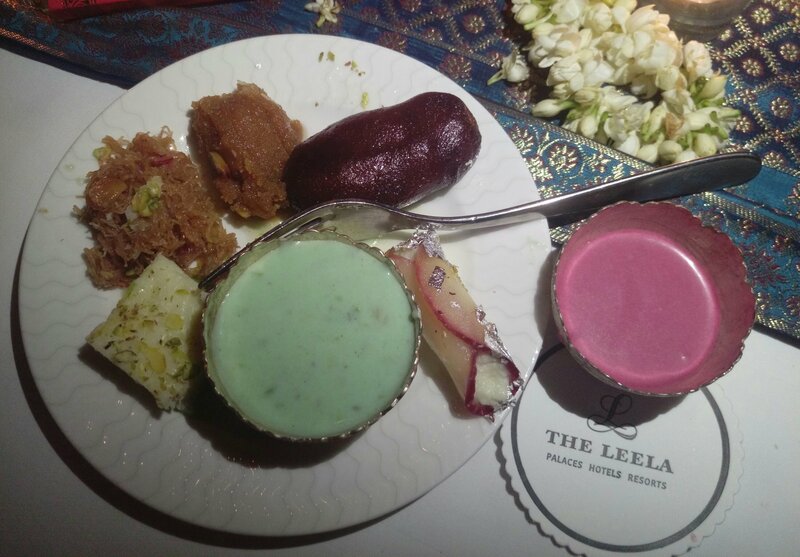 Dilli 32 at Leela never fails to delight you with an outstanding theme adaptation and a menu that always keep bringing you back while the fest is on. Have been here earlier as well and every time I try to visit again for exceptionally good food and hospitality. 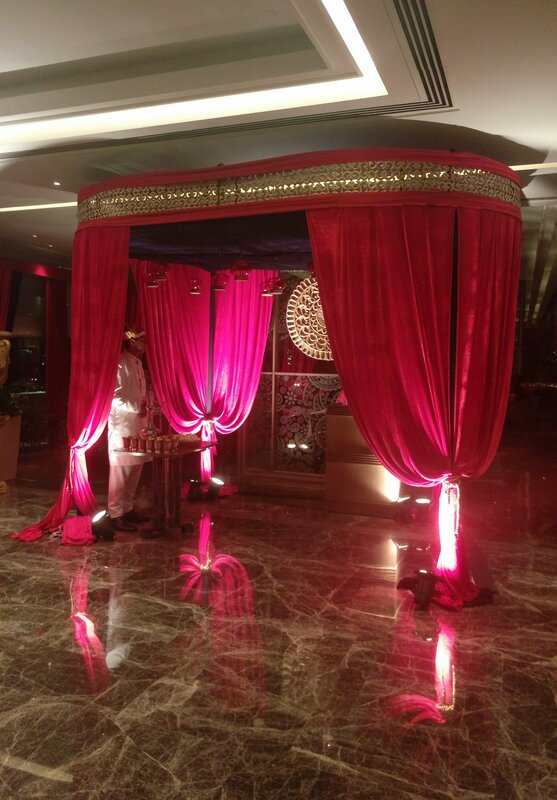 Let’s have a look at the royal transformation of Dilli 32 while Dinning with Maharajas is going on. Photos and selfies are in vogue these days. #Dilli32 knows it well. So as you enter this Photo opportunity exactly depicts what you are about to experience. 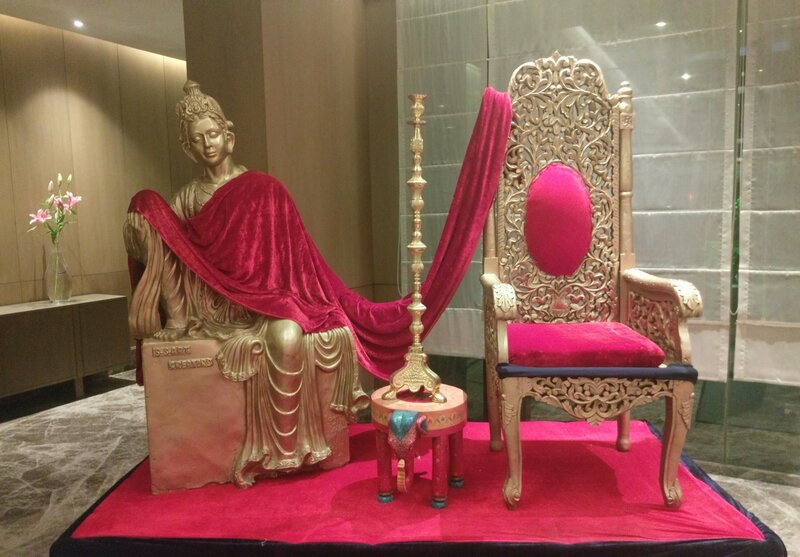 His Highness -The king who has just left his chair to host you at Dining with Maharajas. The welcome drink – Khas Sharbat is a perfect way of greeting you with something sweet, followed with a Gajra to dazzle your wrist. Every corner of Dilli32 came alive like a palace with all the royal embellishments and a great use of Red and golden color. 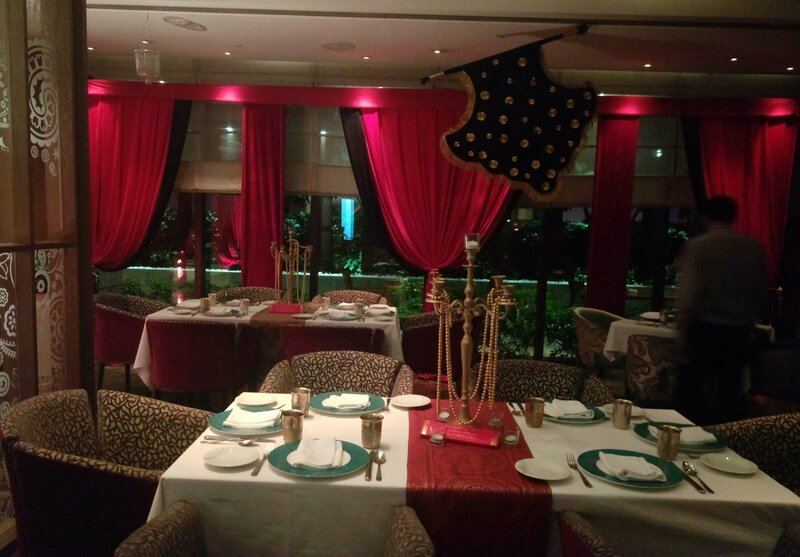 The duration of the menu in itself is an event in itself and keeping it authentic to the core made the entire efforts worthwhile for the patrons who get to taste the royal delicacies. Let’s have a look at the menu from the Vegetarian Bouquet. STARTER: As this is a cuisine that is served on the table so all of this is served you on your royal table on a platter. Mind your quantities as there is a lot to explore. 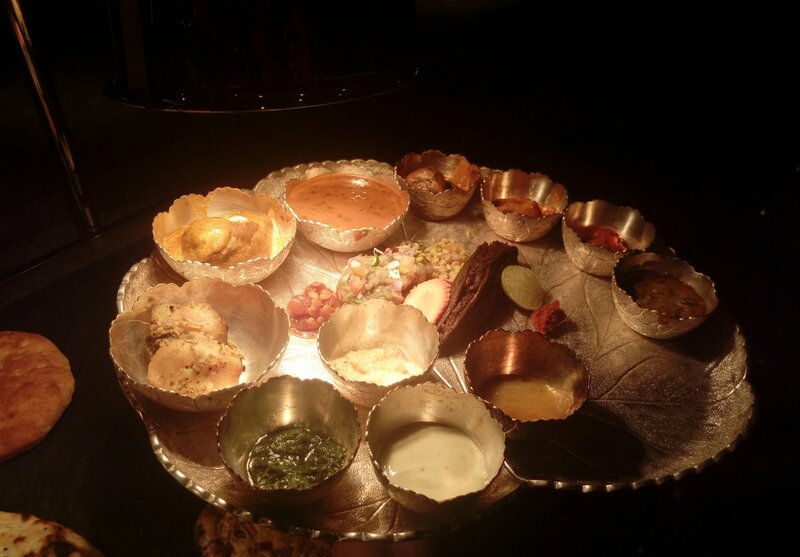 A Sahi Platter you simply can’t say no to. The Chutney and Achars (pickles) are hand-picked as well from the Awadhi cuisine and that constitutes an important part of the cuisine. 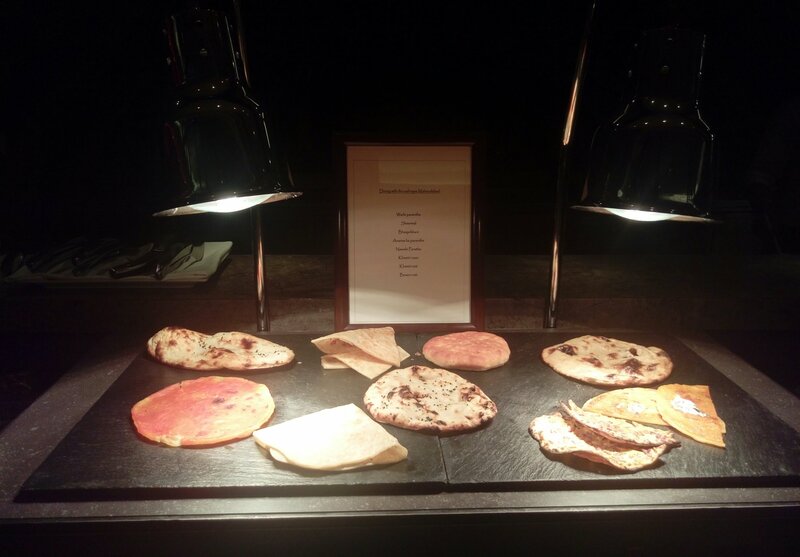 The best part was the layout of the breads and Chef Ashwani Singh explains the importance of these breads and the combination it goes with. Check out a fb live on the combinations as explained by #ChefAshwaniSingh. So what’s not to miss from the dessert options. 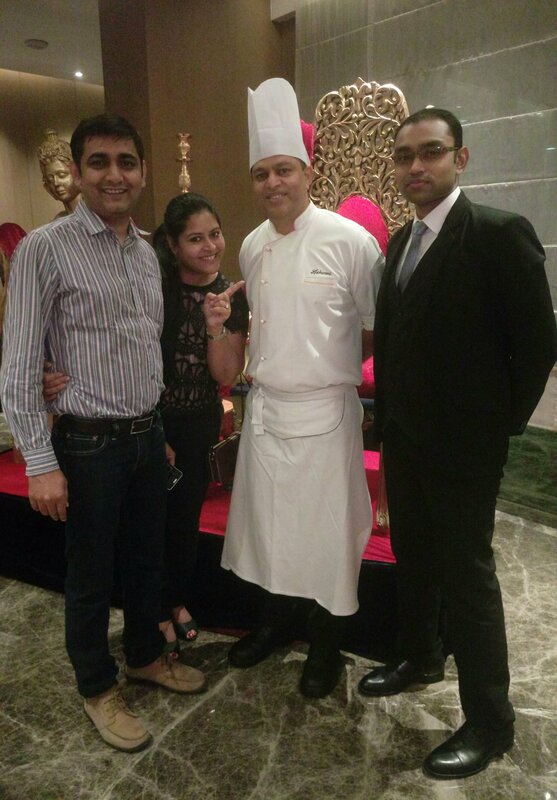 #ChefAshwaniSingh has done extensive research to curate this menu and takes special care to attend each and every guest personally to educated on the cuisine explaining the tricks and processes of making a dish. So don’t miss to catch up with him. Overall a great experience and worth trying. Most important of all is the fact that this Festival is Only on till 15th Oct. And if you don’t want to miss the delicacies from Mahmudabad then hit Dilli32 before 15th Oct 2015. 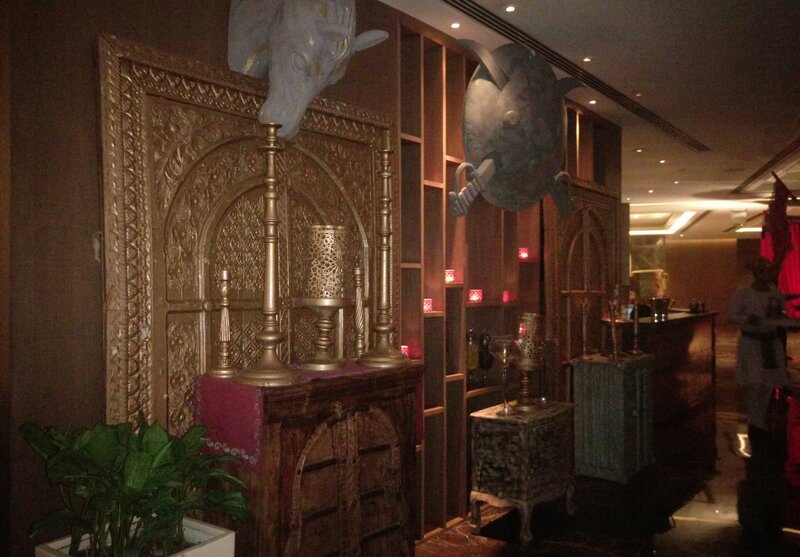 And refer #food2go4 for an exclusive discount of 10% on the special menu.